One of the greatest myths surrounding organic agriculture is that it cannot possibly feed the world, and certainly not a world set to reach 9.7bn by 2050. 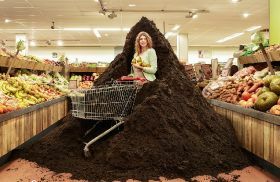 According to Michaël Wilde, sustainability and communications manager at Dutch organics specialist Eosta, this myth is based on the fact that studies have shown that organic production is, on average, around 18 per cent less productive than conventional. Non-profit organisation Pesticide Action Network has estimated that the number of people affected annually by short- and long-term pesticide exposure is between 1m and 41m, while studies in developed countries have also shown that annual acute pesticide poisoning affects nearly 1 in every 5,000 agricultural workers. Stories like these have been a major influence on the purchasing decisions of well-informed consumers and have assisted the rise of organics. According to Wilde, sales of products that are considered superfoods, including ginger and turmeric, are currently doing extremely well. Eosta promotes these through its Dr Goodfood campaign, which is fronted by Anna Kruyswijk, doctor and author of several books on food, health and lifestyle, and aims to encourage consumers to see certain healthy foods as akin to medicine. “Health comes from good, wholesome food that nature provides us with,” says Kruyswijk. “Food with no human tampering or industrial processing. Organic food. Because studies show that organic food holds up to 40 per cent more active ingredients that benefit our health. Becoming Dr Goodfood is an effective new way for me to help Nature & More promote the medical benefits of food. And hopefully inspire people to choose pears and peppers over pills." The priority now is to make healthy food relatively more affordable compared with the cheap stuff, adds Wilde, who believes things are heading in the right direction. The idea of True Cost Accounting, taking into account all the hidden costs of a product, including its impact on the environment and health, will also be an important step for the future, Wilde believes, as it would make many organics cheaper than their conventional counterparts.